Porsche's 919 Hybrid Evo blew the world away this summer with brand new world records at Spa Francorchamps and the Nurburgring Nordschleife. Porsche owns the word fast with this car, as it simply beat up on everyone, setting laps faster than even Formula 1 could produce. 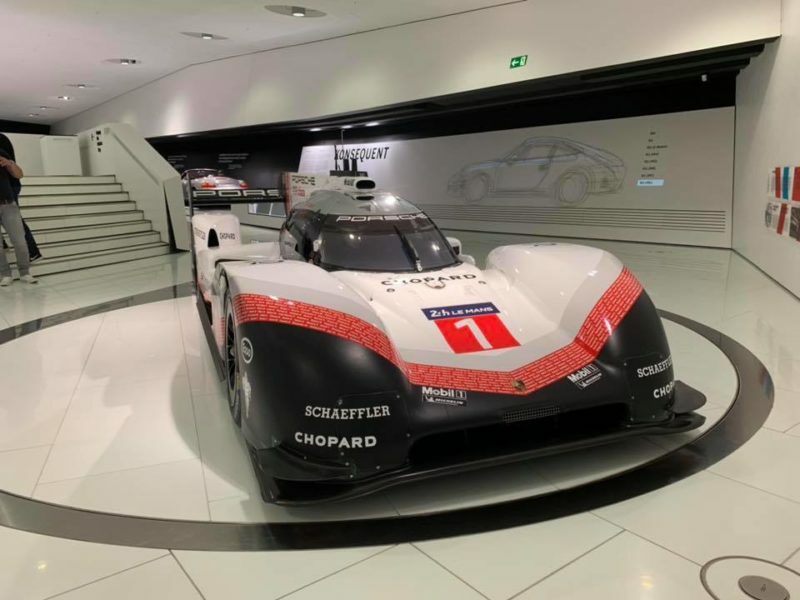 While it is an extension of the 919 Hybrid that ran in the WEC across 2017, winning Le Mans and the championship, the car is really quite different. Instead of being set up for endurance racing and playing to a specific set of rules, Porsche built a car from the same platform that was specifically made for single lap pace. And it worked. The car has now been sent to the Porsche Museum in Stuttgart, and indeed it was sitting on a rotating dais near the exit of the museum. It was quite interesting to see sitting still and after having seen it run really fast at Laguna Seca this summer, a little bit sad.